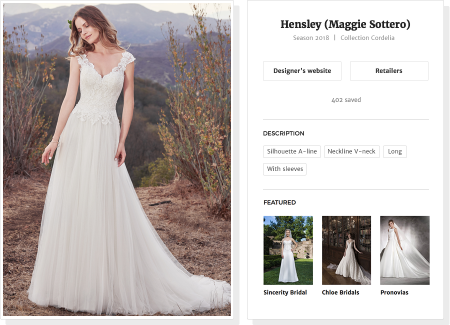 Whether you’re looking for lace or satin, floor length or short, off the shoulder or strapless, WeddingWire has tons of wedding dresses to choose from. WeddingWire features over 8,000 wedding and bridesmaid dresses from more than 100 designers. Filter by designer, silhouette, season, neckline or length to find your day of look. While browsing through dresses and accessories, save your favourites to easily find again. 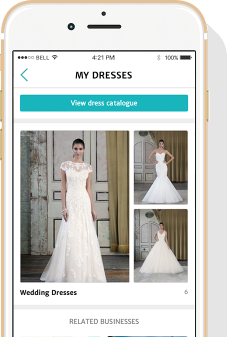 Easily book appointments to try on your favourite dresses at local stores or visit the designer's website to find more details. 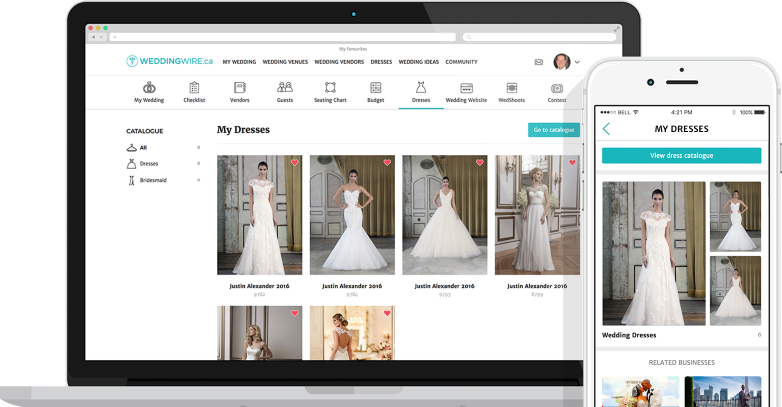 Download the free WeddingWire app to browse hundreds of wedding dresses and accessories anytime, anywhere.